As the MacBook Air celebrates its tenth anniversary, we ask whether there is a future for the no-longer-skinniest MacBook. Will 2018 be the year that Apple removes the MacBook Air from its line up, or will the company surprise us with a new MacBook Air model? Well, it sounds like we should be prepared for the rebirth of the MacBook Air so watch this space for the latest news! In this article, we round up all the rumours, hints and clues about the new MacBook Air release, including tech specs, new features, design, as well as ongoing speculation that Apple may be phasing out the 'Air' lineup completely. News that a new MacBook Air might be on the way came via KGI Securities analyst Ming-Chi Kuo, who claimed Apple is planning to introduce a new model of the MacBook Air this spring - and you can expect it to be cheaper. Read on to find out more. For buying advice related to the current Apple laptop range, read our Best MacBook buying guide and Best cheap MacBook deals articles. We also have a Best Cheap Mac article, of which MacBook Air is still an option, for now... You can also see our one-stop guide to the best place to buy any Mac. Also, if you are wondering how the 13in MacBook Pro compares to the 13in MacBook Air read this: MacBook Pro vs MacBook Air. The bad news first: it's possible that Apple won't ever update the MacBook Air again. It certainly hasn't been showing the once-beloved slim laptop a lot of love in recent years. But there are also reasons to hope. Apple publicly stated that another low-cost machine, the Mac mini, "is still important" to it; since the Mac mini and MacBook Air both use the same generation of processor chips right now, and since both Macs are located in the lower end of Apple's pricing structure, it could be that they will get updated at the same time. Also, it seems there is a significant market for the MacBook Air. According to Bloomberg sources before WWDC 2017: "The company [Apple] has also considered updating the ageing 13in MacBook Air with a new processor as sales of the laptop, Apple's cheapest, remain surprisingly strong," wrote Bloomberg before in May 2017. So when will that update arrive? According to KGI Securities analyst Ming-Chi Kuo, it could be this spring. He claims that Apple is planning to introduce a new model of the MacBook Air in the second quarter of 2018. It is possible that this new Mac laptop could launch soon - although according to a Bloomberg report on 23 March the new MacBook wasn't near enough to being ready for it to be introduced at Apple's Education focused event on 27 March, which would have been a good platform for its introduction. The Bloomberg report notes that while the new cheaper MacBook laptop is in the works and expected to replace the MacBook Air for less than $1,000, Bloomberg's sources don't think that it will be ready in time for the event on 27 March. DigiTimes reported on 12 March that a new 13in MacBook would be launched in Q2. While it's wasn't clear whether this is an update to the MacBook Air, or the MacBook range, the report did claim that it will be a new entry-level Mac priced in the same ball park as the MacBook Air. The rumours about a new 13in MacBook are all pointing to it costing less than $1,000. That price is comparable to the MacBook Air which costs £949/$1000 currently. This is an increase compared to what the MacBook Air cost at launch. When it launched the entry-level 13in model cost £849. At £949, it now costs £100 more than it did then. To make matters worse, before the 11in MacBook Air was axed in October 2016, you could get an 11in MacBook Air for £749. It is unlikely that the new MacBook will see a price as low as that. We thought previously that it was unlikely that the MacBook Air would ever cost less than £949 - because Apple doesn't actually want anyone to buy it, Apple wants people to see that they can get a better Mac for just a few hundred pounds more. However, it's now looking like Apple would like to improve its entry-level offering. KGI Securities analyst Ming-Chi Kuo was the first to say that he believes that Apple is going to update the MacBook Air and reduce the price. He claimed that by introducing a new model of the MacBook Air, at a lower price, Apple will be able to push MacBook shipments up by 10-15 percent this year. 13in MacBook or new MacBook Air? A DigiTimes report at the beginning of March suggested that this new 13in MacBook would be priced at a similar level to the MacBook Air - and that it will come with a Retina display. What isn't clear is if the new entry-level MacBook will be part of the MacBook line up, or a reboot to the MacBook Air. We always expected Apple to remove the Air from the lineup as soon as it was prepared to bring the price of the MacBook down to under $1,000/£1,000, but the reports seem to be indicating that this new 13in MacBook is more of a MacBook Air replacement than an update to the 12in MacBook range. We think it's more likely that this 13in MacBook is a replacement to the 12in MacBook line. With that lineup coming down in price and gaining a bigger screen. Read more about those rumours here: 2018 MacBook release date. We still think that Apple is going to discontinue the MacBook Air, dropping the price of the MacBook below $1,000/£1,000. That theory is based on a bit of Apple history: When the MacBook Air initially launched it was quite overpriced for the specs, just like the Retina MacBook is now. At the time the MacBook Air launched in 2008 the entry-level Mac laptop was the old MacBook models. Over time the price of the MacBook Air was reduced and those older MacBook models disappeared from the lineup. Another possibility is that Apple will drop the MacBook Air range replacing it with a lower priced MacBook Pro. In January 2017, DigiTimes cited Chinese site Economic Daily News and said Apple is going to drop the price of the non-Touch Bar 13in MacBook Pro and discontinue the MacBook Air. In 2017 the 13in MacBook Pro price didn't drop, but what Apple was offering at the entry-level price did improve - previously the 13in model was an older generation, but in 2017 the entry-level model gained the same Kaby Lake chips as the other MacBook Pro models. Perhaps this year isn't the year to lose the MacBook Air, though - instead Apple can celebrate the existence of the now decade old machine. Watch a video of Apple's Steve Jobs unveil the MacBook Air at Macworld Expo San Francisco on 15 January 2008. Ok, so we've said we don't think the MacBook Air will get an update, but if it does what can we expect? The current model offers 12-hours of battery life, a 1.7-centimetre (at the narrowest point) design and weighs 1.35kg. Thanks to the updates post its 2015 launch, it now offers 8GB RAM along with 1.8GHz i5 Broadwell processors as standard. You'll also find the option of either 128GB or 256GB flash storage and Intel's HD Graphics 6000 cards. We don't expect those specs to change much if Apple updates the MacBook Air, other than the introduction of a new processor and integrated graphics card. We may also see USB C.
The MacBook Air currently has a resolution is just 1,440-by-900 pixel. When Apple updated its MacBook Air in March of 2015, we had been convinced that the company was about to give the laptop a Retina display. Instead, it launched a brand-new MacBook line that's super-thin, super-light and does offer that high-resolution display, but does that mean Apple won't enhance the MacBook Air with a Retina display in the future? It's possible that these rumours about a new 13in MacBook with Retina display are referring to the MacBook Air, and if we do see an update to the line up a Retina display seems likely. DigiTimes is claimed LG is set to begin production of screens for a new 13.3in MacBook (perhaps, a MacBook Air) with a resolution of 2,560 by 1,600 pixels at the end of May or early June. Find out what a Retina display is here: What is a Retina display? It's possible that a new MacBook Air could ship with chips that are a successor to the Kaby Lake generation, but that would be unlikely unless the MacBook Pro also saw an update to that generation of processor. The Air could also theoretically use the same type of Intel processors that the MacBook uses - the Core M series. We assume the next MacBook Air will feature USB-C ports - which helpfully double up as Thunderbolt ports, a report from Taiwanese website DigiTimes seems to confirm our theory. It claims that Apple is planning to release a MacBook Air with USB-C ports in future, but doesn't provide a launch timeframe for the upgraded laptop. "Currently, Apple has decided to adopt the USB Type-C interface for its MacBook Air, while Asustek Computer and Hewlett-Packard (HP) are upgrading one of their notebooks' regular USB port to the Type-C. Lenovo, Acer and Dell are still evaluating the option," according to that report. This seems a logical step; the MacBook has just one USB-C port and the new MacBook Pro also features this connection type. It would still represent a bold move overall for Apple, however it'd mean all of its laptops would no longer support standard USB-A connections, a move sure to annoy a few people, but ultimately shape the future of mobile computing. We expect this feature to come on the Air model - if it isn't discontinued! There are also reports to suggest that it'll boast Touch ID within its Trackpad, which may also get the Force Touch upgrade that was given to the 13in MacBook Pro back in March 2015 and comes with the new MacBook. Touch ID is the fingerprint sensor that's built into the Home button of the iPhone 5S, iPhone 6 and iPhone 6 Plus and beyond. It's also used to make Apple Pay more secure and with the recent announcement of Apple Pay coming to Mac as part of macOS Sierra, this rumour makes a lot of sense. According to an Independent report, Touch ID for the Mac line would require a dedicated chip to be built into the device. The rumour started with Taiwanese blog AppleCorner, which cited sources in the supply chain. Apparently, the Magic Mouse and Magic Trackpad may get a biometric update too, enabling users to make Apple Pay payments on the web, but both those accessories were updated alongside the launch of the 4K iMac so that seems unlikely to happen anytime soon. (Read about what might be instore for the iMac in 2018 here). Apple last updated the MacBook Air at WWDC in June 2017 (read our MacBook Air (2017) review here). However, the update was only change was that Apple switched the 1.6GHz Broadwell processor for a 1.8GHz Broadwell processor. Broadwell is the generation of Intel processor from 2014/2015. So essentially the 'update' to the MacBook Air in 2017 just made a build-to-order option on the 2015 model standard. It's unclear why Apple hasn't updated the generation of Intel processors used in the MacBook Air since 2015. It would be understandable if the price had dropped on the model in reflection of its lowly status, but the price is still high - and since the demise of the 11in MacBook Pro in 2016 the price of entry is £949 (it used to be £749). Like the MacBook Air update in 2016 (increased from 4GB to 8GB RAM as standard), this was a minor and frankly disappointing update. However, given that everyone was expecting the MacBook Air to be killed off for good, the fact that it remains offered some consolation to its fans. The demise of the MacBook Air has been predicted for some time. Back in October 2016 Apple removed the 11in MacBook Air from sale along with the legacy MacBook Pro with SuperDrive, which had been lurking in the Apple Store for some years. While the 13in MacBook Air remained, it hasn't been significantly updated since March 2015, apart from a move to offer what were originally the build-to-order 8GB RAM and processor options as standard. Another reason for Apple to ditch the Air is design: it's just not as groundbreaking now as it was ten years ago when it launched. When the MacBook Air first arrived, its biggest selling point was its thin and light design, hence the name, but the MacBook and MacBook Pro now outshine it in those areas. Plus, for those looking for ultimate portability there's the iPad Pro with a 12.9in screen. In terms of weight the MacBook Air weighs 1.35kg while the MacBook Pro weighs only a fraction more at 1.37kg and the MacBook weighs just 0.92kg. 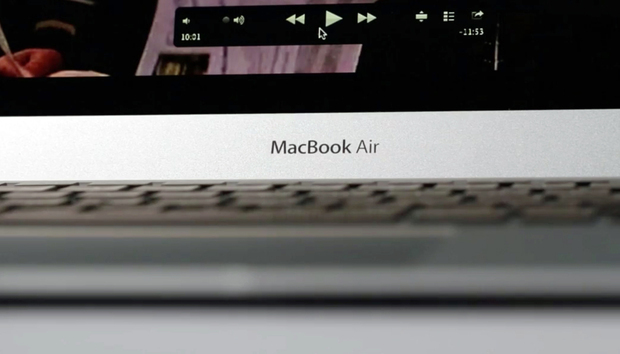 If Apple continues to sell the MacBook Air maybe it should drop Air from it's name. It's not all bad, though. The MacBook Air is both more powerful and £300 cheaper than the MacBook. It is the only Mac laptop that is available for less than £1000. For that reason we do still recommend it, although you might do better buying a refurbished MacBook Pro if you need a Mac that costs less than £1000. Given that the MacBook Air is Apple's lowest cost Mac laptop you'd think it would be its most popular model, and yet, according to Apple analyst Ming-Chi Kuo (back in 2015), the 12in MacBook is Apple's best-selling computer, closely followed by the 13in MacBook Pro. See more MacBook rumours here. So we it looks like the 13in MacBook Air will be replaced, but we don't think that will happen before the price of the MacBook and potentially the entry-level MacBook Pro, is reduced. History indicates that this will be the case: the last time there was a Mac laptop that had more advanced specs than a more expensive model was when the MacBook Air launched alongside the old white and black MacBooks. Those models were eventually discontinued and the price of the MacBook Air reduced. We hope that the same will happen, with new 12in MacBook models being priced lower than they are currently and replacing the 13in MacBook Air as the entry level MacBook, while the more advanced specs will be provided by the 13in MacBook Pro. Here's why it doesn't matter that the MacBook is expensive and underpowered. We'll be updating this article as more information about a new MacBook Air emerges so check back from time to time for the latest news.